You asked, we listened. The Muscle SpikerBox is now available in kit form to record EMGs. The kit takes ~4 hours (complete novice) to 1.5 hours (electronics hobbyist) to build. Once you receive your Muscle DIY SpikerBox kit, please refer to our step by step instructions to help you complete and build your very own Muscle SpikerBox. To build the kit, you will need a soldering iron, some solder, and wire cutters. A small magnifying glass to read the labels on the chips may be helpful for those of you with some mileage. 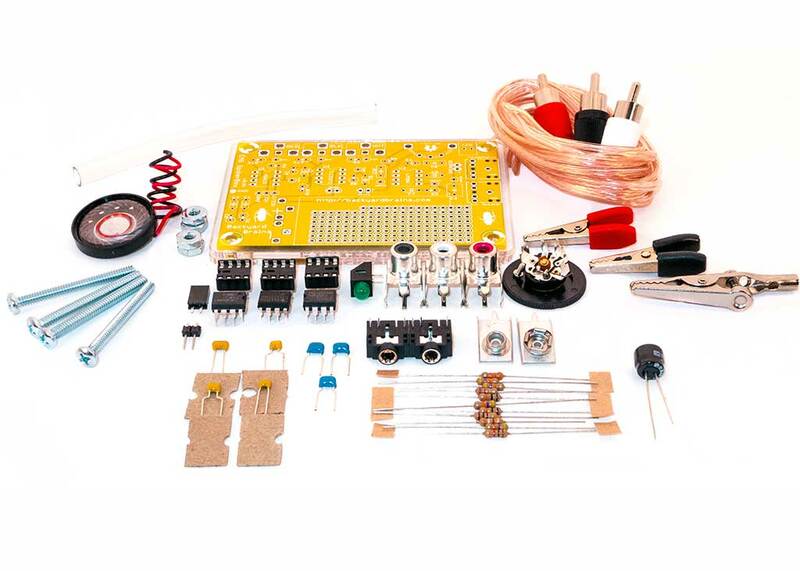 Contains all the electronic and housing components you need to build your own Muscle SpikerBox. Materials to build electrode cables. 6 large electrode EMG patches.